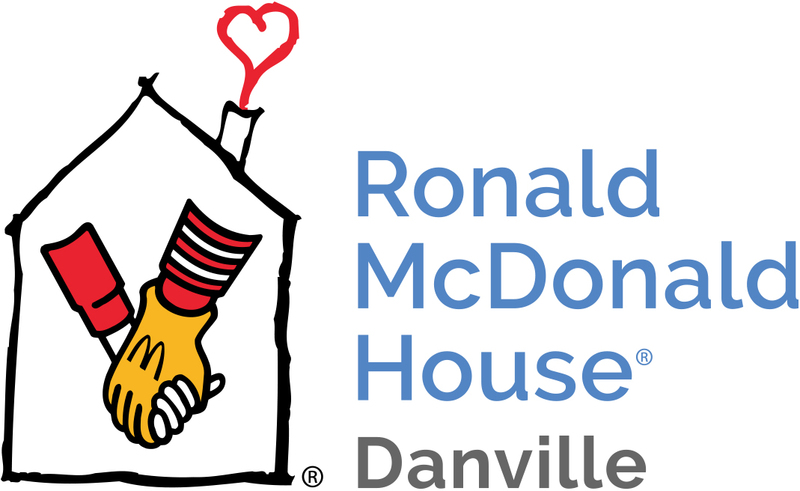 The Ronald McDonald House of Danville is open 24 hours a day 7 days a week and has 17 bedrooms, two efficiency apartments, an indoor playroom, living room, two TV rooms (one that serves as an extra bedroom when the other rooms are occupied), laundry room, kitchen, sun room, and an outdoor play area. The Ronald McDonald House can accommodate up to 59 guests at one time and on average 61% of that time the House is at maximum capacity. Many families who arrive at the Ronald McDonald House are not planning to be at the hospital with their child and are often transported in by ambulance or helicopter. These families arrive at the Ronald McDonald House with only the clothes on their backs. In these types of situations, the House is able to provide them with clothes, personal hygiene products, and other essential items to get them through their day. Thanks to the existence of the Ronald McDonald House of Danville, families do not need to sleep in their vehicle or hospital waiting rooms, nor do they incur the extra financial burden of hotel rates and restaurant meals. In most cases, the House removes the obstacle of distance and travel.